Home > News > Product Knowledge > What Equipment is needed for the Limestone Production Line? What Equipment is needed for the Limestone Production Line? Limestone crushing is a relatively mature manufacturing technique in mining industry, and is also the most common project. According to the different requirement of limestone processing, there are various types of configuration of crushing equipment for the customer. Luoyang Dahua will recommend the most suitable equipment for the user with our professional technology. Luoyang Dahua has rich experience in providing the solution for limestone production from 50t, 100t, 300t to 1000t. First of all, the large block of limestone is crushed coarsely by jaw crusher. Because jaw crusher has large crushing capacity and high output, it is the first choice of coarse crushing. The second stage is secondary crushing. We need to choose impact crusher. There are various types of impact crusher, the customer needs to choose the proper one according to the site requirement and particle size. Thirdly, after being crushed by impact crusher, the materials need to be screened. And then use pls vertical impact crusher to make sand. In this step, the requirement of particle size is fine, and the sand making machine is to be used for shaping the product and to make it satiation. 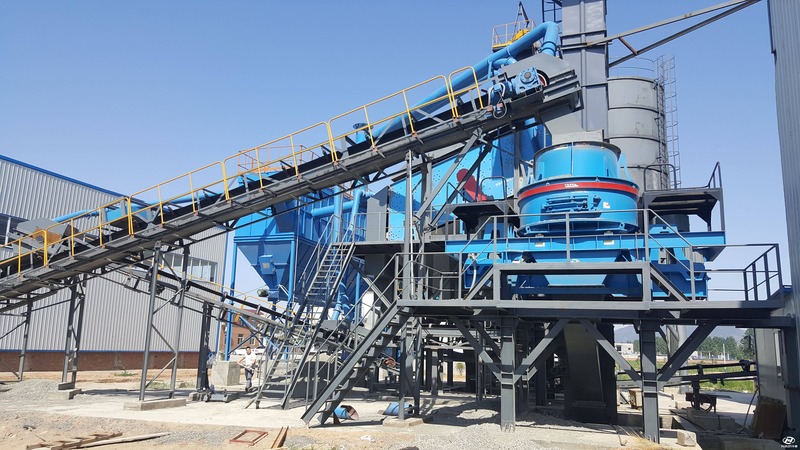 Previous Article：What control the Product Granularity of Hammer Crusher?